Before I left the house to interview Troy Ferguson and Paul Miernicki of Twin Oaks for this post, I did a quick Google search about this topic and it returned surprisingly little. Could it be that for all the golf instruction information available in our connected world, the most under-taught part of a golf lesson is the lesson process itself? For those who’ve never had a lesson, I think this information will provide insightful and highly valuable. But even if you’ve taken lessons for years, I still think there’s something to be gleaned here, especially toward the end when Troy and Paul talk about creating lasting change with your lesson. Unfortunately, that doesn’t always happen. I know many who have reverted to old habits after a few weeks and didn’t muster the resolve for long-term change. I’ve been there myself. Troy is the Head Golf Professional at Twin Oaks and Paul is the Director of Instruction. Paul has been an instructor for 16 years, 10 with JC Golf. What follows are their combined thoughts on how to get the best results from lessons, meaning preparation, execution, review and, perhaps most important, post-lesson practice. FYI: The base lesson is 30 minutes, so we’ll use that as our point of reference. It may seem obvious, but the first lesson of lessons is to know how to ask for one. Besides the general areas of full swing, short game and putting, it’s incumbent upon the player to be specific and honest about what needs to be addressed. Mental issues that commonly come with the natural struggles of the game can even be a lesson, but a starting point has to be identified. Ferguson says a good instructor will limit a lesson to one or two areas, but many players make the mistake of trying to overload the lesson. “It’s 30 minutes and you can’t fix it all,” Ferguson says. “If alignment is your issue, for example, you need to work on a alignment for a week or two. That’s a change many golfers don’t ever embrace and play lesser golf because of it. Especially as players age, their swings are often limited by what their bodies will allow. These limitations are often obvious, but sometimes not. To diagnose a swing properly, the instructor has to be able to diagnose the player. 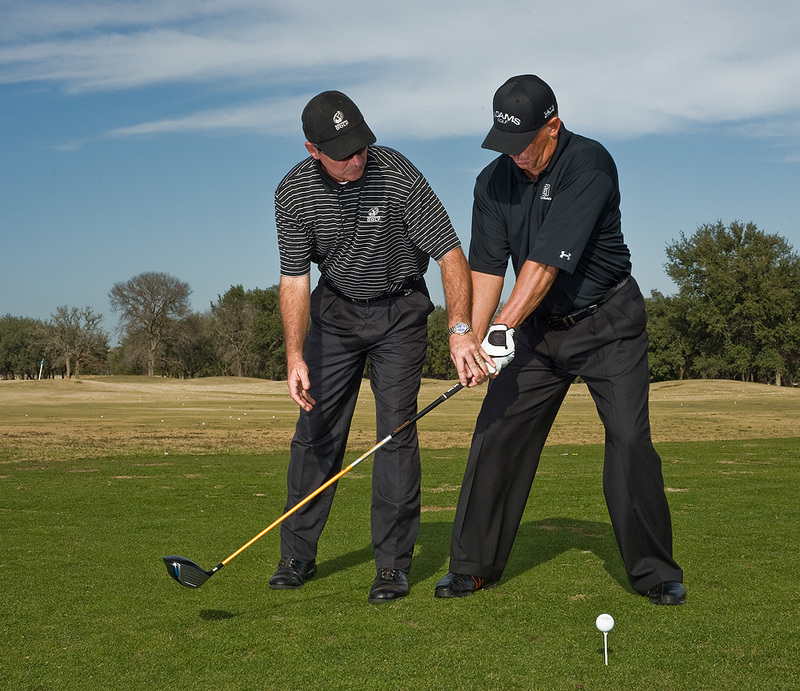 Being forthright about any ailments or issues assists both the player and the instructor. In some cases, the instructor may be able to recommend swing changes or adjustments that better protect the player’s health. Or sometimes therapies or stretching regimens can be recommended to assist with such issues as decreased flexibility. In every case, full disclosure is best for everyone involved. A golf lesson is the start of a process, not a magic bullet. Part of that process is realizing what can be accomplished. And this is where Miernicki is bluntly honest about what can be expected. “If I’m asking you to do something really new, you’re probably going to get worse at first,” he says. “That’s just the reality. Guys seem to struggle with that idea more than women. 1) What do I ultimately want out of the game of golf? 2) How much time do I have to commit to that goal? 3) Given that time, are my expectations realistic? Knowing what you want from your lesson is one thing. Telling the instructor what your lesson needs to be is another. There’s a lot of information publicly available about the golf swing, but people sometimes misidentify or misconstrue what their source is actually telling them. You come to an instructor to hear the truth. Now it’s time to listen and be prepared to hear it, accept it and provide feedback toward correcting it. Trying to guide or override the lesson only hinders progress, Ferguson says. “You need to trust what the instructor sees,” he says. “We’ll get people who think they have identified what’s wrong by reading Golf Digest or looking at a YouTube video. Ferguson likens teaching pros to other “pros” people commonly have in their lives. “When your mechanic say it’s your radiator or your doctor tells you it’s a torn knee ligament, you don’t second guess them and say it’s something else,” Ferguson says. “You’re welcome to a second opinion, but at the moment, this is your expert and your need to respect that. 5. Relax. Lessons Are Fun. So Have Fun. It’s normal for the first few minutes of a lesson to replicate first-tee jitters. Don’t sweat it, Miernicki says. Forget it and embrace the process. But above all, enjoy your time. Bad shots provide as much feedback as good one. Take the good with the bad, but Miernicki says the good shots are the ones that aren’t treasured enough. Ideally your improved results will mostly be doing this for you, but Miernicki says perhaps the most important part of his lessons are the 5 minutes he specifically designates at the end for review. He wants his client to verbally express what has been learned and how. Most important, proper review leads to retention, which leads to repetition and the player being able to replicate the results on their own. Ideally, what’s covered in a lesson should be repeated and practiced once or two on the range in the next week, or, as Miernicki prefers, in a nine-hole round. Along the lines of limiting practice to a concentrated amount, Ferguson says the first practice done post lesson should be done with a small bucket – 35 balls. “Practice is about the quality of practice, not the quantity,” he says. “You will value the shots more if you’ve got a small bucket. When people have a larger bucket, they tend to just beat balls. To that end, Miernicki says most golfers have been taught how to properly use their range time. Too many flail away with one club before just moving onto the next. He says for most average golfers, the perfect number of range balls is 60. Miernicki says the best practice is a simulated round, meaning replicating the sequence of shots played on the course. Retaining learning from lessons and improving practice habits are two of the biggest keys to improving, Ferguson says, but it takes time and commitment for those things to become a habit. To schedule a lesson with Paul at Twin Oaks, please call 619.368.2269. Note: the first lesson is half price. This entry was tagged JC Golf, lessons, Paul Miernicki, Troy Ferguson, Twin Oaks. Bookmark the permalink.